In 2015 COP21, also known as the 2015 Paris Climate Conference, was, for the first time in over 20 years of UN negotiations, aim to achieve a legally binding and universal agreement on climate, with the aim of keeping global warming below 2°C. France played a leading international role in hosting this seminal conference, and COP21 is one of the largest international conferences ever held in the country. 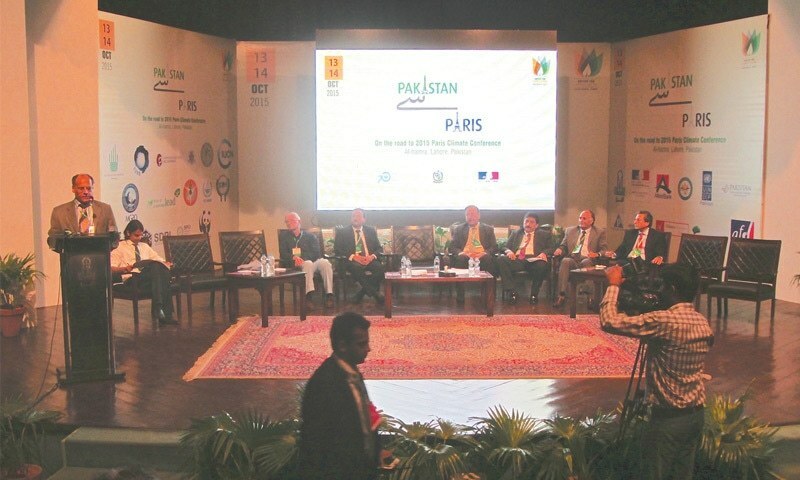 The conference has attracted close to 50,000 participants including 25,000 official delegates from government, intergovernmental organisations, UN agencies, NGOs and civil society. A new global climate accord edged closer during COP 21 as negotiators ended four years of work and produced a draft text of an agreement for ministers to finalise. This is a milestone as delegates formally accepted a draft that has been in the making since 2011. But the 48-page draft that emerged on the last day still contains a number of potential minefields that could end up making a final agreement very weak or even impossible to conclude. To support a successful outcome at the Paris talks, known as COP21, a host of celebrities, business leaders and politicians descended on the Le Bourget airfield north of city’s centre on Saturday where the conference was held. Chief among the most problematic issues to be settled are those that have bedevilled UN climate talks for more than 20 years — questions such as: How much should wealthy countries pay poorer nations to help them lower emissions and how much should all countries collectively cut their carbon pollution to avert dangerous global warming? Delegates from wealthy countries have hinted they will accept a demand for the agreement to include a requirement for them to deliver $100bn a year after 2020 to help poorer countries deal with climate change — as long as developing countries agree to do their best to limit emissions and back tougher rules on the way pollution is counted and reduced. Some rich countries have also said they are willing to increase this $100bn figure in future years, but only if the so-called “donor base” of climate finance is enlarged to include big emerging economies such as China. Other countries are firmly opposed to this. But US envoy Todd Stern said people were “over-reading” the issue by thinking it amounted to the US wanting countries to take on new obligations. Still, divisions remain over a host of other elements of a potential agreement, including many that helped sink the last effort to seal a new climate deal, in Copenhagen in 2009. In Paris, about 150 leaders came for one day at the start of the two-week meeting to help bolster what Mr Obama said should be a “turning point” when “we finally determined we would save our planet”. They then flew off to leave their ministers and officials to finalise the agreement. Another reason the Paris meeting differs from Copenhagen is that more than 180 of the 195 countries involved in the talks have already been setting out their respective goals and plans to deal with climate change since March. This happened much later in the run-up to Copenhagen. But collectively, the pledges made for the Paris accord do not add up to enough to stop global temperatures rising more than 2C from preindustrial times, a limit governments have already agreed at past UN climate talks. One of the issues likely to go down is the question of when countries should upgrade their pledges in the future. The EU and the US are pushing for this to happen as soon as possible, as are many smaller countries most vulnerable to climate change impacts. But other nations are pushing for the agreement to contain a much later date. In Paris, a group of small island states and developing nations are also pressing for the 2C target to be lowered to 1.5C in the new accord, a move Saudi Arabia and other nations are resisting. Island country leaders also want the new accord to include support for the loss and damage caused by rising sea levels and other impacts of climate change. Both issues are likely to require a lot of hard negotiation in the near future. COP – What’s it all about?